Wire shelf for Suncast BMS2000 vertical garden shed. Metal construction. Holds up to 30 pounds. 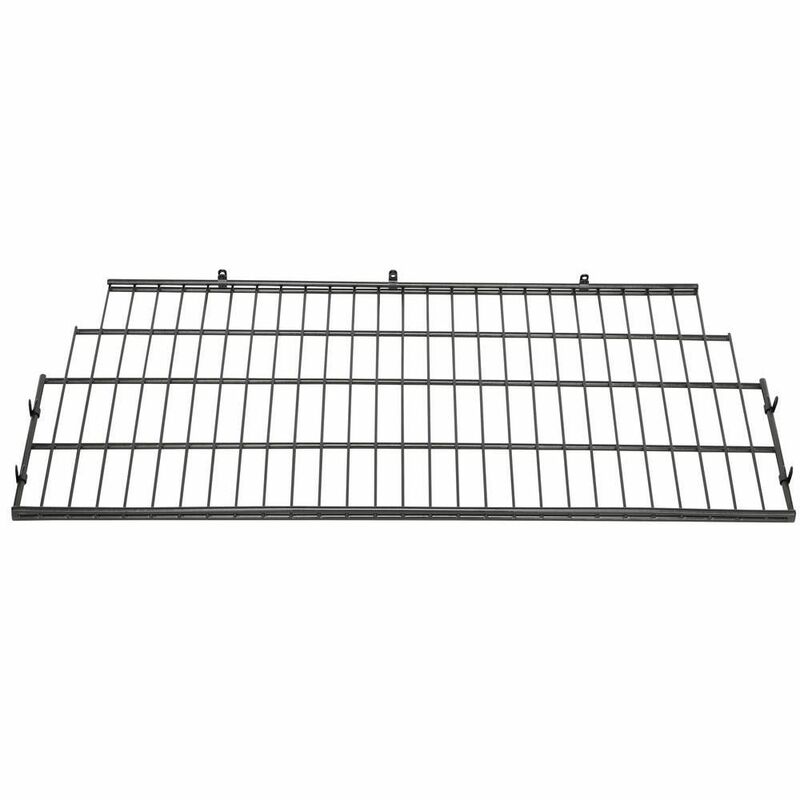 Wire Shelf for BMS2000 Wire shelf for Suncast BMS2000 vertical garden shed. Metal construction. Holds up to 30 pounds. Wire Shelf for BMS2000 is rated 4.4 out of 5 by 160. Rated 5 out of 5 by LouZ from I installed 6 of these shelves in 2 Suncast vertical... I installed 6 of these shelves in 2 Suncast vertical outdoor storage sheds I bought. the shelves and the sheds are excellent quality and I am very happy with them. Rated 5 out of 5 by DaFuZz1015 from This shelf works perfectly inside of the Storage Shed! ... This shelf works perfectly inside of the Storage Shed! Easy to install with the included screws. I have several of these shelves that I previously purchased for my Sheds. They've held up for years and are still going strong. I recommend that if you buy this Shed, you purchase at least one shelf to see if it is right for you. (For example, inside of one of my Sheds, I have tall items so a shelf would not work. Rated 4 out of 5 by KathieH from The shelf is sturdy. Has a weight limit if 30... The shelf is sturdy. Has a weight limit if 30 pounds. It was simple to install into the shed however, the shed should have came with the shelf instead of costing an additional $30. I love my shed and shelf! Rated 5 out of 5 by Snowbird from The shelf is easy to install is as represented. It actually solidifies the shed. The shelf is easy to install is as represented. It actually solidifies the shed. Rated 4 out of 5 by Maddy from Shelves were almost a perfect fit and some of the... Shelves were almost a perfect fit and some of the holes inside were off a bit but still fuctional. how many shelf's do you get?